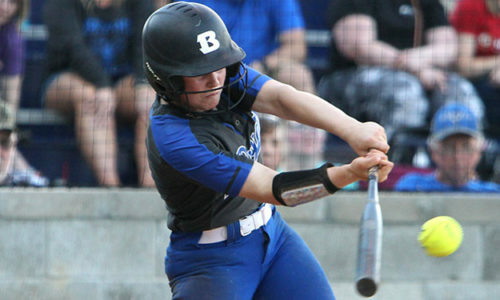 With the rain clouds closing in, the Bryant Lady Hornets softball team finally got its pre-season game (and the adjoining fish dinner from Riverside Grocery) done on Tuesday, breezing to a 16-0 win in three innings over the Sylvan Hills Lady Bears. A 10-run second put it in run-rule territory. A pair of runs in the bottom of the third, including a solo homer by Sarah Evans, ended the contest. 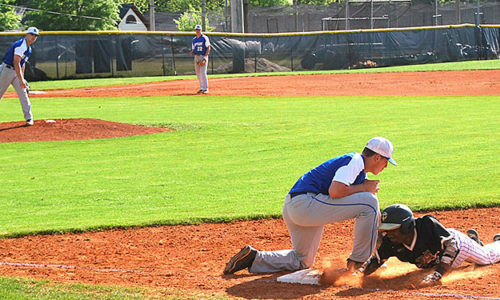 Bryant scored 16 runs on 12 hits, taking advantage of five Sylvan Hills errors. Raven Loveless worked two innings and Gianni Hulett pitched the third. The lone Sylvan Hills hit was a single to lead off the game by Alyssa Johnson. She was sacrificed to second by Addison Harpe and took third on a wild pitch but was stranded when Loveless struck out Destiny Sanders and got Joy Franco to ground out to Evans at short. The Lady Bears were retired in order in the third and the fourth with Hulett striking out the side after Loveless fanned a pair. At the plate, lead-off hitter Regan Ryan had three singles, scored three times and drove in two. Evans and Loveless each had a pair of hits. In the first, Ryan beat out a bunt single and took third while the Lady Bears weren’t looking. Hulett got a bunt down that drew a wild throw to first allowing Ryan to score. Hulett stole second and third as Meagan Chism walked. Evans picked up the first of her three RBIs with a grounder to short, making it 2-0. Loveless drove in the third run with a shot to right for a triple. Brooklyn Trammell doubled her home. In the second, an error that allowed Bella Herring to reach base got the big inning started. Regan Keesee walked and Ryan slapped a single to left to make it 5-0. A wild pitch moved runners to second and third for Hulett who ripped a liner off the shin of Johnson, the Lady Bears’ pitcher. Keesee scored and Ryan went to third. Though she tried to continue, Johnson wound up coming out of the game as Sanders took over in the circle. She surrendered a sacrifice fly to Chism then an RBI single to Evans. Loveless rolled one to short but Evans beat the throw to second on an unsuccessful fielder’s choice. Maddie Thompson singled in Evans to make it 11-0. With two down, an errant pick-off throw to third wound up in the left-field corner and both Loveless and Thompson scored. The onslaught continued with a walk to Herring and a triple by Keesee. Ryan’s third hit, another bunt single, got Keesee home. After a wild pitch allowed Ryan to take second, Hulett smacked a single to center to get the 10th run of the inning across the plate. On the second pitch of the bottom of the third, Evans belted her homer over the center-field fence to make it 15-0. Loveless singled to left and took second when the ball was misplayed in the outfield. Thompson’s grounder drew an errant throw to first and Loveless scored from second to end the game. The Lady Hornets will officially open the season on Thursday when they host Lake Hamilton.